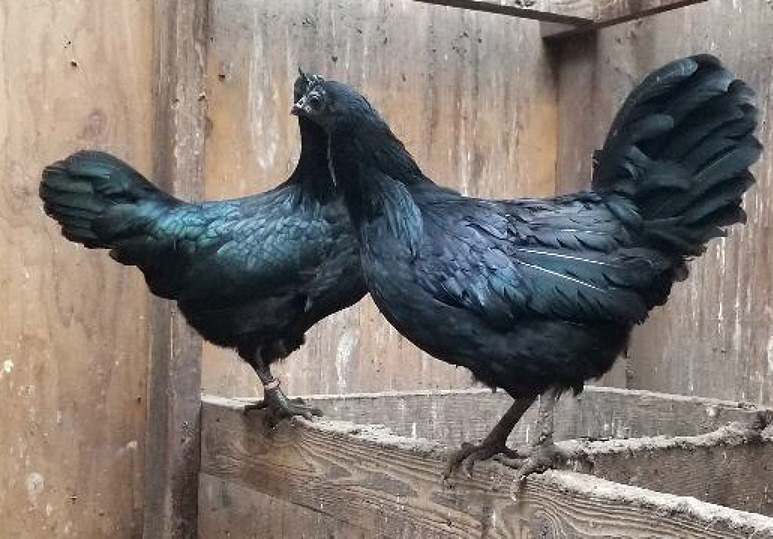 This Indonesian breed takes black to the next level! 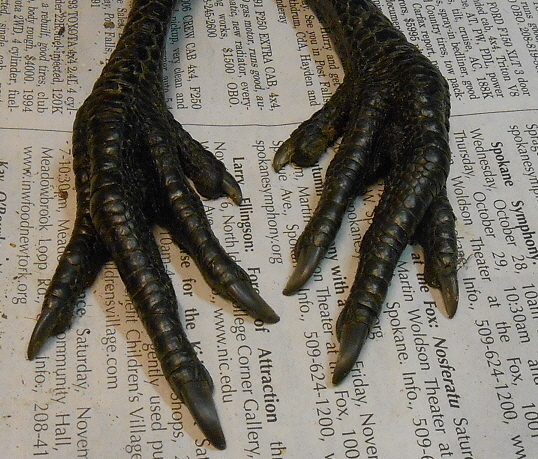 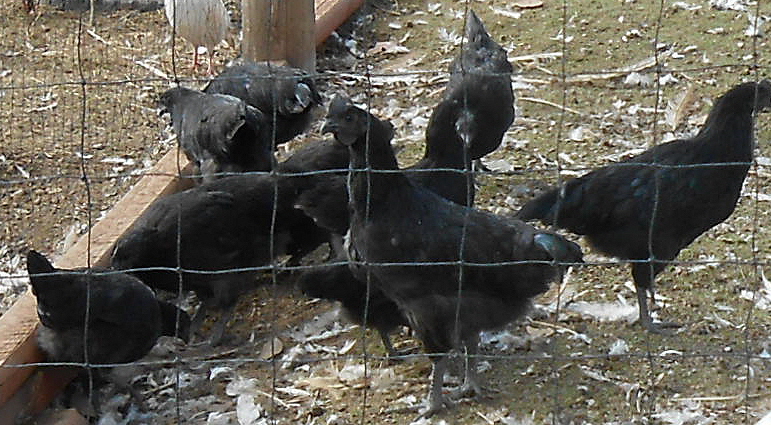 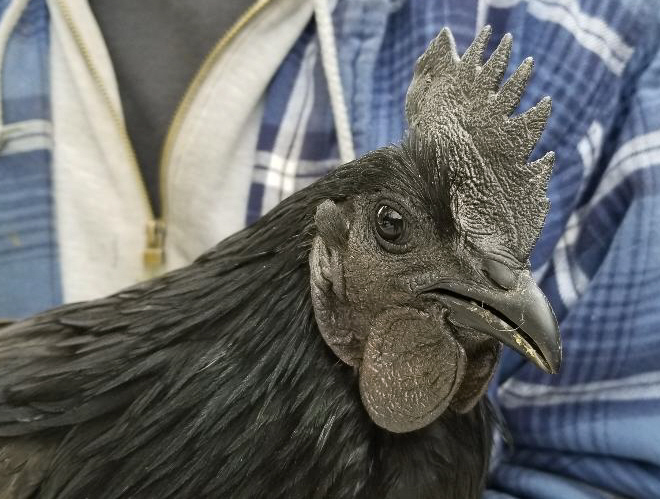 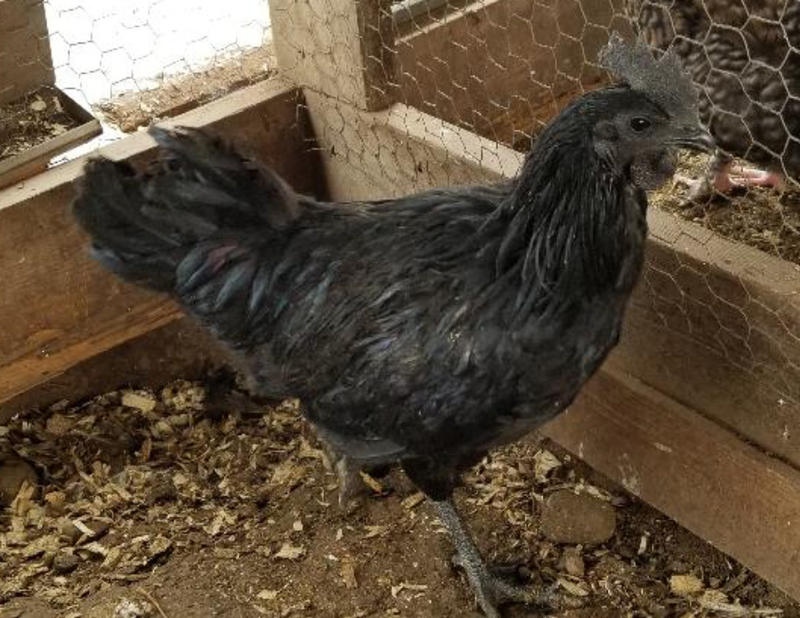 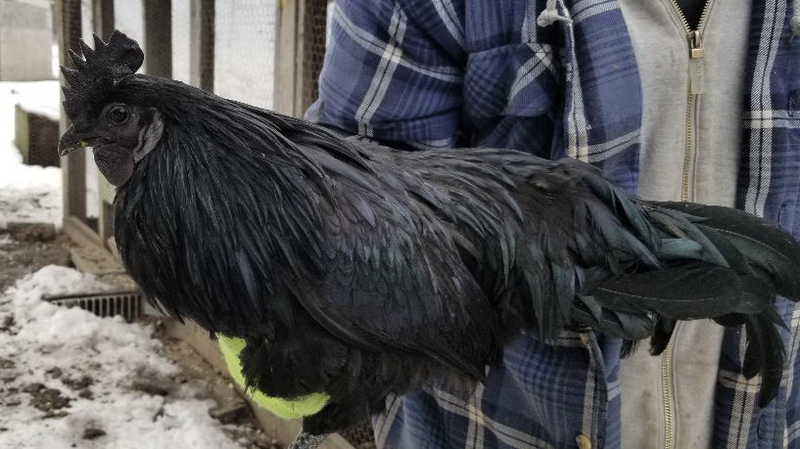 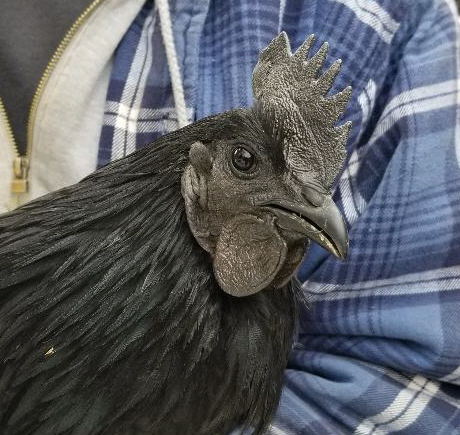 Often referred to as the "Lamborghini of poultry.” Their skin is black, their muscle, bone and organs are black! 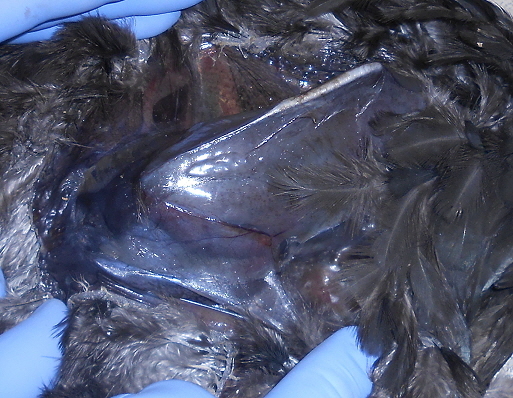 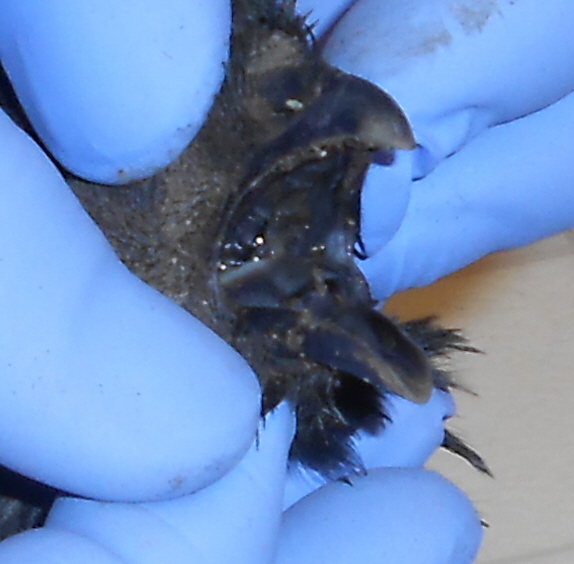 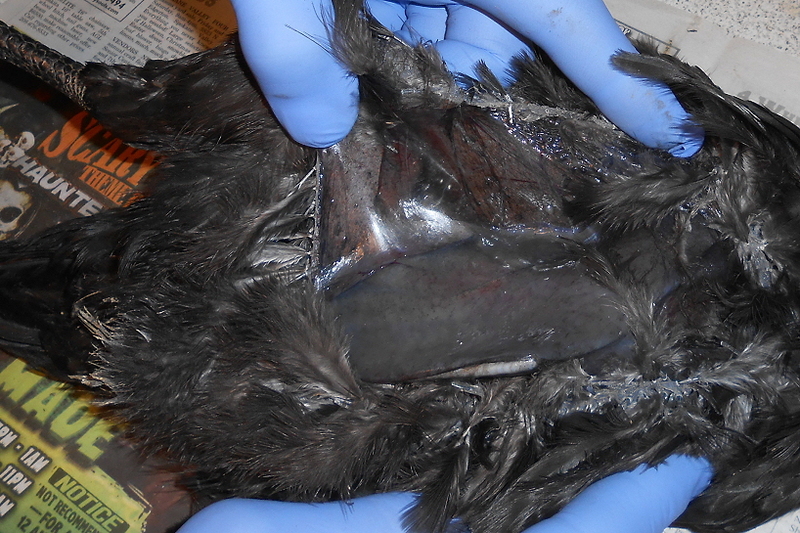 The bird has a mutant fibromelanistic gene – a gene that deposits excessive black pigment. 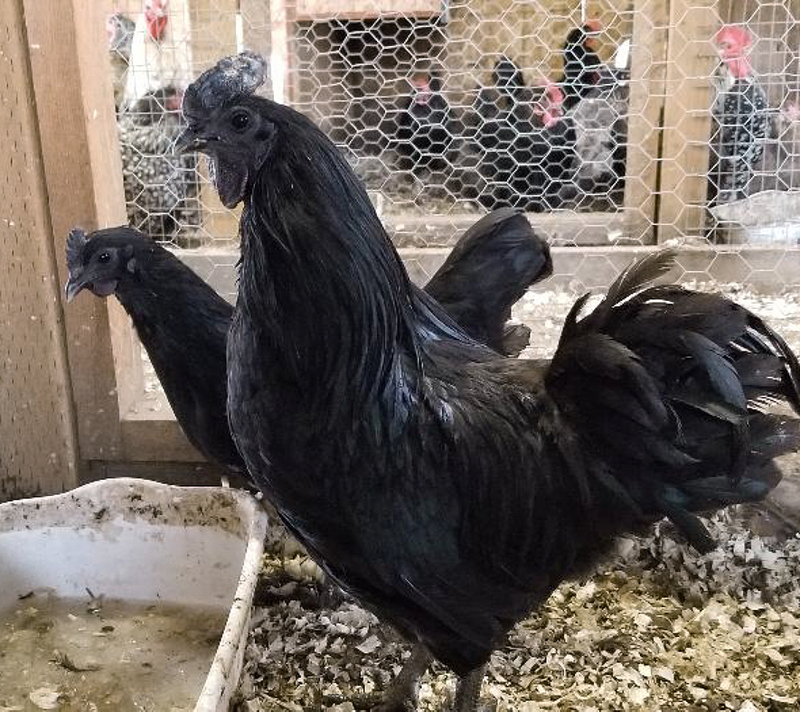 We have worked very hard on our bloodlines since importing eggs and birds in 2014 and 2015. 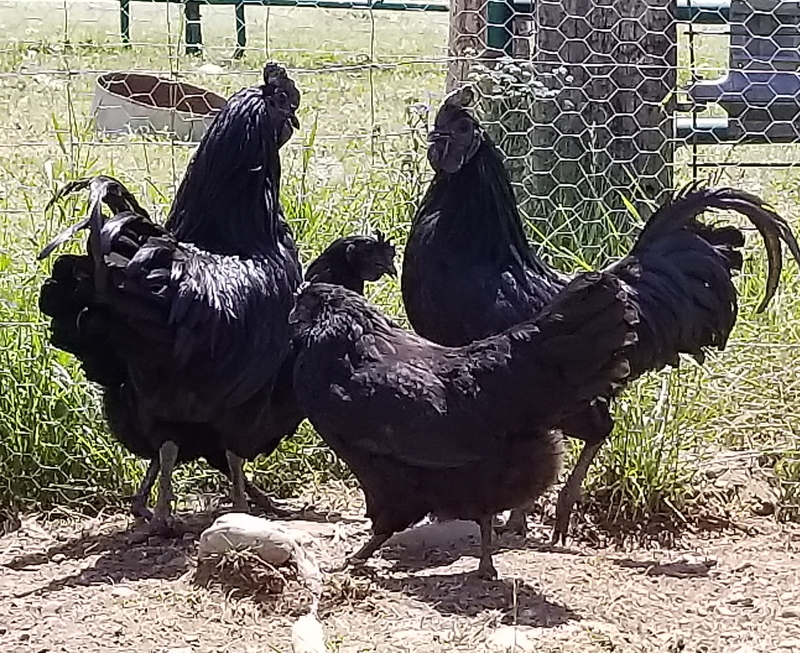 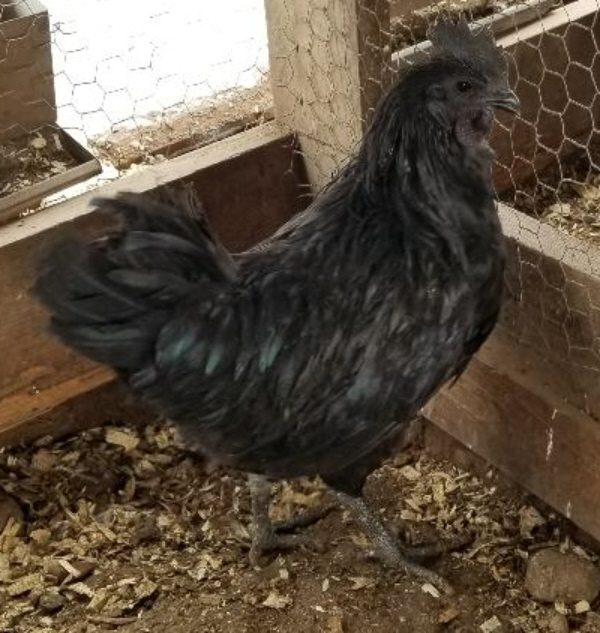 We also have added lines from top US breeders and Greenfire Farms to produce stunning pigment and black birds unlike any other breed. 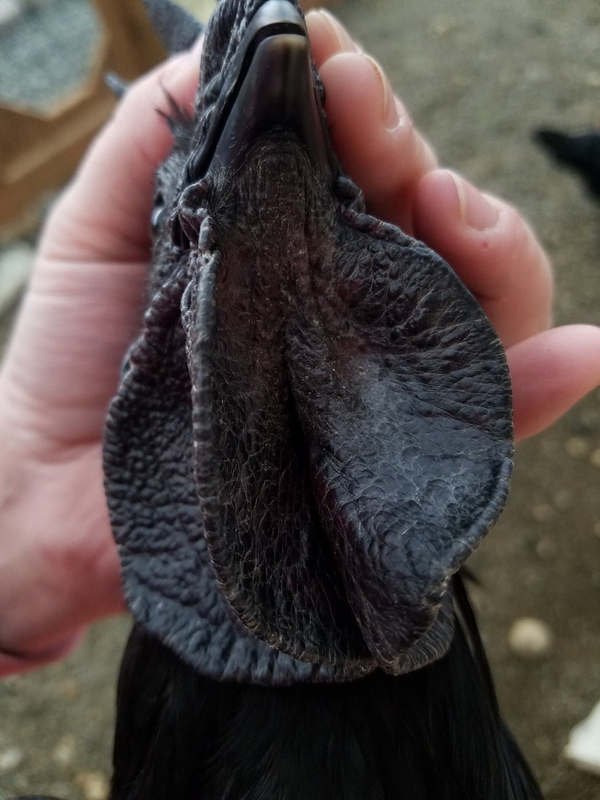 Working with several unrelated bloodlines your sure to get birds you can breed selecting the best! 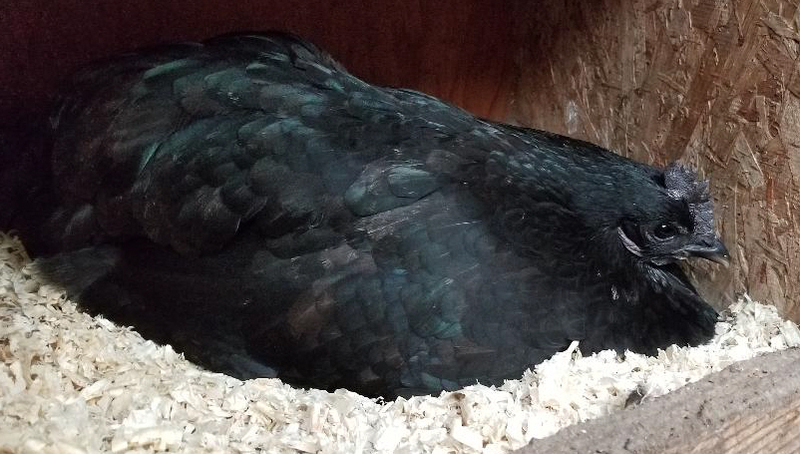 Birds that are so black, sunlight dances in metallic shades of purple and green sheen in the feathers. 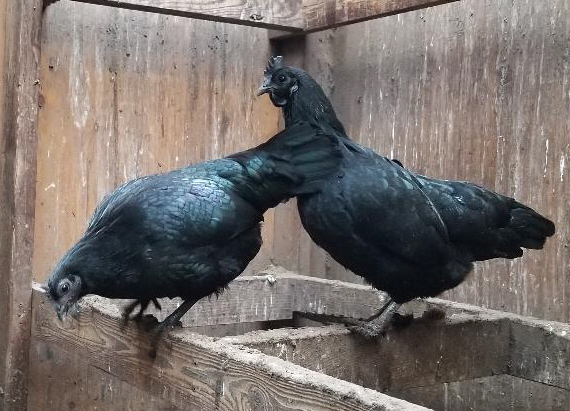 Through careful selection and culling to always strive for top quality black meat, skin and good black pigment. 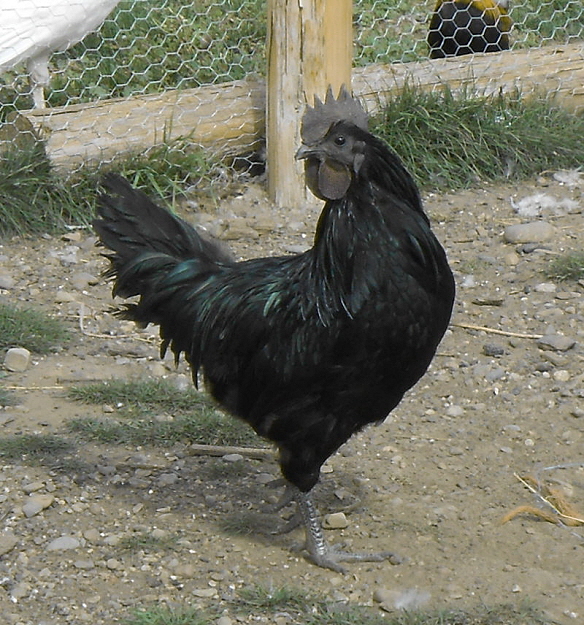 Roosters can get some mulberry upon maturity due to testosterone and other influences. 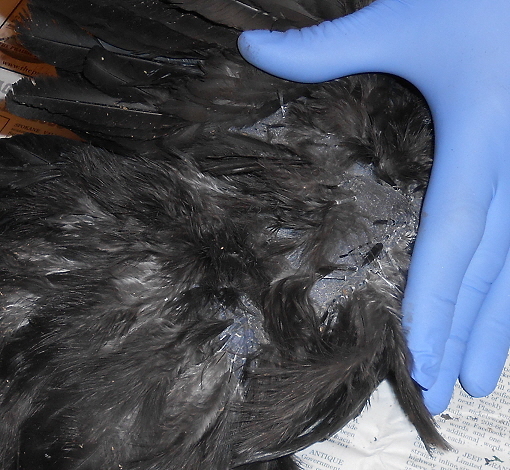 Show birds should be kept from the vicinity of hens to further emphasize black pigment in combs. 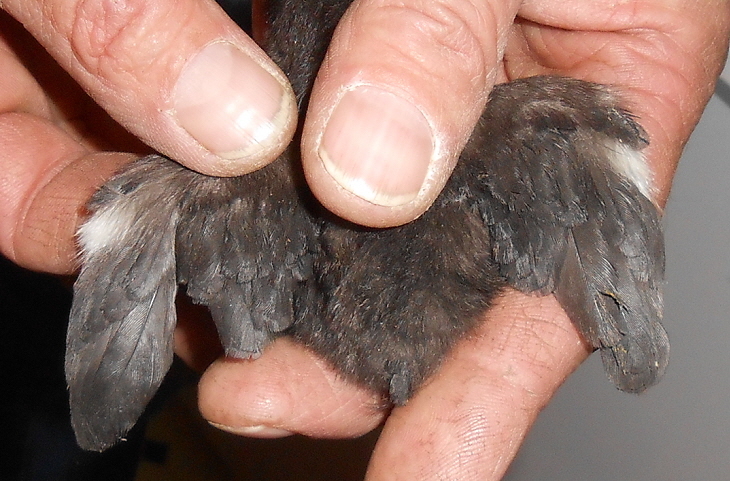 White toes and possible white on wings, though rare, is normal and always go black by first molt. 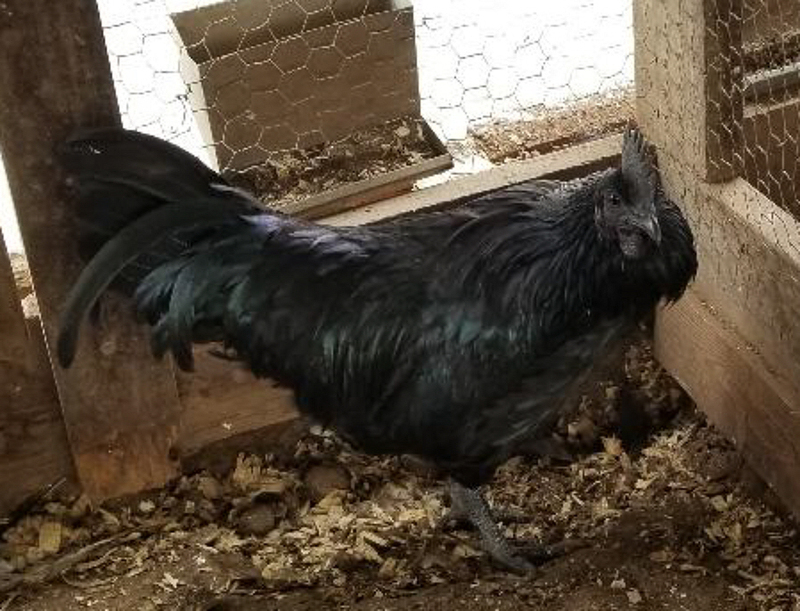 Eggs may be marked denoting the different bloodlines included. 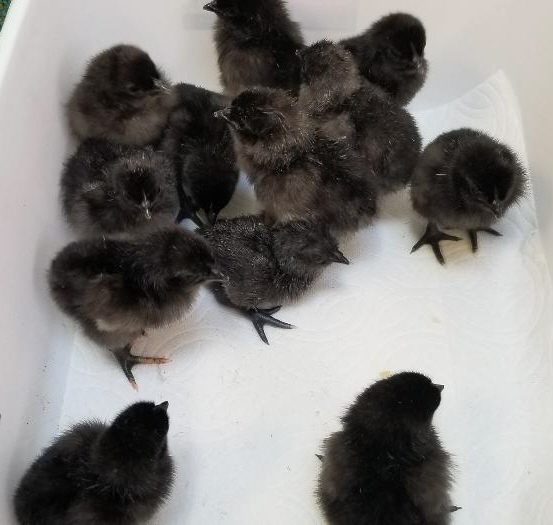 Hatching eggs are RISKY! 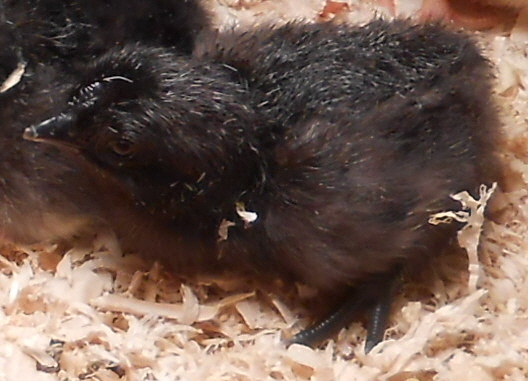 You may hatch 100% or you may hatch none at all. 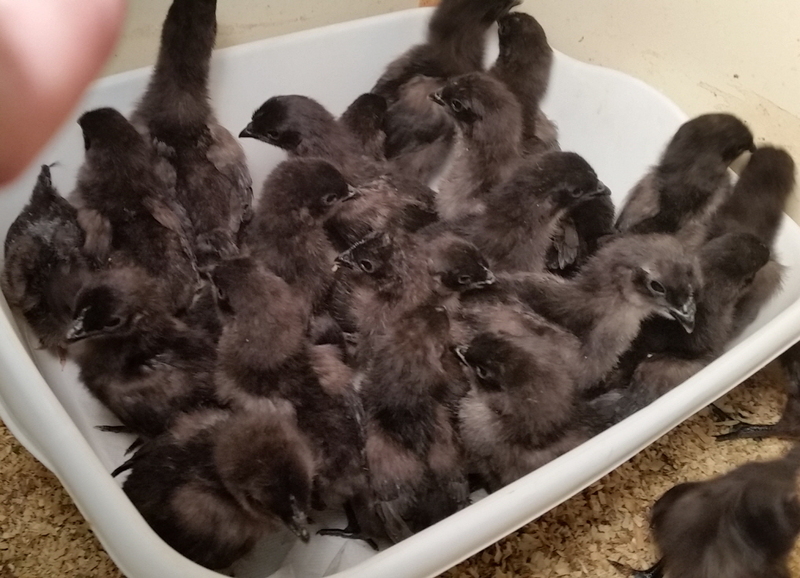 We cannot guarantee the distribution of black pigment on chicks.